Of loss, delivery of me. Of nurses, of lilies, of sun-paled walls. Recovery is ours to begin. Me in purple bouts of struggle. Jonathan H. Scott lives in Birmingham, Alabama. His poetry and short-stories have been published in The Able Muse, Blood and Thunder, Hospital Drive, Measure, Muse and Stone, and others. 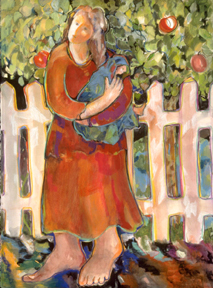 This entry was posted in Archives, Poetry and tagged winter2013 by Mary Akers. Bookmark the permalink.